Dr. Keshavan is Vice- chair for Public Psychiatry at the Beth Israel deaconess medical center, Harvard Medical School, a position he assumed in April 2008. He received his medical training in Mysore, India (where he graduated at the top of the University), and his psychiatric training at the National Institute of Mental Health and Neurosciences (NIMHANS) in Bangalore (India), Vienna, London, and Detroit. In 1986 Dr. Keshavan joined the faculty of Western Psychiatric Institute and Clinic, Pittsburgh. 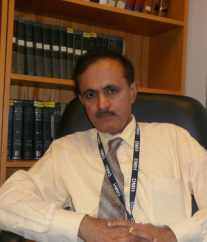 Dr. Keshavan became the Medical Director of the Schizophrenia Inpatient Unit, serving from 1987 to 2002. He was appointed full tenured professor in July of 1998. between 2004-2008, he served as Professor and Associate chair at the Department of Psychiatry and Behavioral Neurosciences, Wayne State University, Detroit. Dr. Keshavan is closely involved in research in neurobiology of psychosis, especially as it pertains to first episode psychotic disorders. His research has resulted in over 350 publications to date, including over 300 peer-reviewed papers, four books, 20 book chapters and over 140 abstracts. He has received several awards including the Gaskell gold Medal of the Royal College of Psychiatrists (1985), Nancy Roschke Certificate for teaching excellence of the American Psychiatric Association in 1993, the Golden Apple Award for Teaching at the Department of Psychiatry in 1992, 1994 and 2004, the Research Scientist Development Award from NIMH and the 2003 NAMI (National Alliance for the Mentally Ill of Pennsylvania) Psychiatrist of the Year Award. He is a distinguished Fellow of the American Psychiatric association, a Fellow of the Royal College of Physicians, Canada and a Fellow of the Royal college of Psychiatrists, UK. Dr.Keshavan is the Editor in Chief of the Asian Journal of Psychiatry (Elsevier) and serves on the editorial board for journals such as the Acta Neuropsychiatrica, Clinical Schizophrenia, Bipolar Disorders and Schizophrenia Research. In addition, Dr. Keshavan is often invited to speak at national and international conferences. He has several funded grants. His main areas of research include the neurodevelopmental basis of schizophrenia, neuroimaging and early intervention.